I keep saying I'm going to lay off buying books for several reasons a. to save money, b. because I am running out of shelf space AGAIN, c. because my physical TBR shelf already exceeds 250 items and d. because Sophia challenged me to finish my entire TBR shelf (physical and digital) by the time she graduates in 2019...a challenge that seems impossibly harder when weekends like this past weekend happen. Chapters was having a 10x the plum rewards points sale for orders of $30 or more. I LOVE the 10x the plum points sales because they get me more points on books I wanted anyway so I get closer to the higher end gift cards for Christmas so I can get even MORE books with my holiday money haha. So of course I caved and bought 4 books, but only 2 are for me, the other 2 are Christmas gifts for my mum. This is one of the ones that I bought for my mum. She and I enjoyed watching Jeremy, James and Richard being absolute idiots on Top Gear when the three of them were still the hosts. It was mainly their friendship and the way they terrorised one another that made it fun to watch. 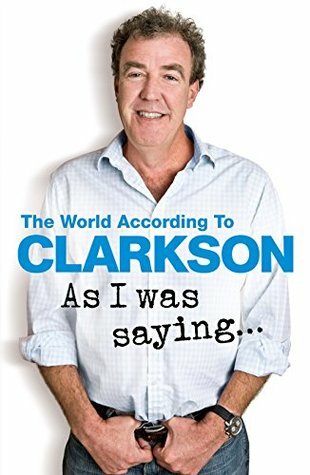 When I was visiting Angie in May I bought my mum one of Clarkson's books in the WHSmith's at Manchester Airport, and she really liked it, so I figured another Clarkson book would go over just as well as a gift. Circumstances change. Nothing's forever. But As I Was Saying provides glorious proof that Jeremy remains as funny, puzzled, excitable, outspoken, insightful and thought-provoking as ever. As if you ever doubted it . .
Another Top Gear book for my mum, this time by Richard Hammond. 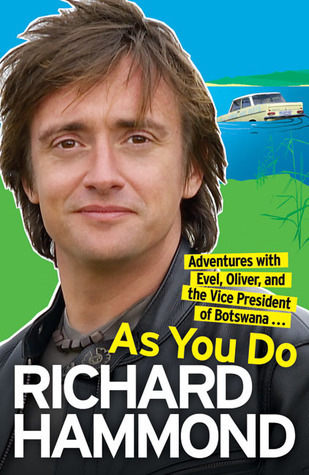 I chose this one specifically because we both get such a laugh about Richard's relationship with Oliver, the little, ancient Opal he drove through Botswana in the first African special. I decided that I should balance her Top Gear library out with books from the other hosts. There's a James May one I want to get her but it's not out yet, and at some point, I'll get her the book written by the first white-suited Stig too. Moving quickly on from the devastating crash that nearly killed him, Richard ranges widely over his life and times—a visit to Glastonbury with James May reminds of him of his early years of playing in a band and how and why he never quite made it as a rock star; the stunts and other perils that come his way like the Top Gear North Pole race (why is it Richard who is out in the howling elements in a dog sled while the others are in the heated cab of an all-terrain vehicle? ); Africa where he falls in love with and repatriates a stray car; and the U.S. (once to be chased by rednecks in middle America, the other in pursuit of his hero Evel Knievel); his passion for cars, what he owns and why, and although he loves his wife why it is a toss-up whether he says hello to the wife or the cars first. Balancing home and family with a crazy, peripatetic working life (or not, sometimes), the Hamster is well and truly back on the wheel About The Author: Richard Hammond is internationally famous for co-hosting Top Gear. His previous titles include On the Edge and Richard Hammond's Car Confidential. 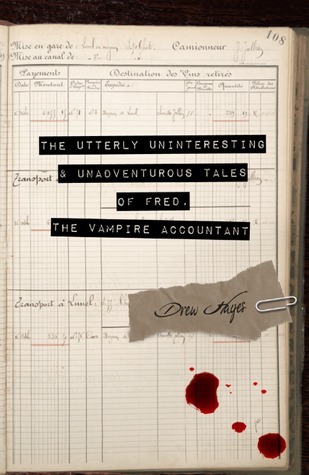 I read this as an e-book back in 2014 because I got a free review copy during my brief stint as an e-book Reviewer over at Parajunkee's view. According to my review, I read it in April specifically, so it's been over 3 years since reading. This is one of those books that has always stuck into the back of my mind. I really loved it. It was what got me started on paranormal fantasy set in New Orleans. 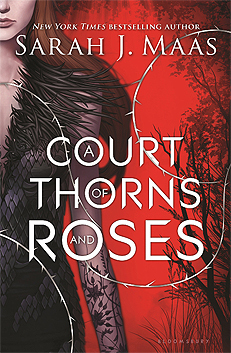 So when I found out that it had been published in paperback and hardcover (it was originally only for the Kindle), I knew that at some point I was going to want to buy a physical copy of it. So this past weekend I finally did! 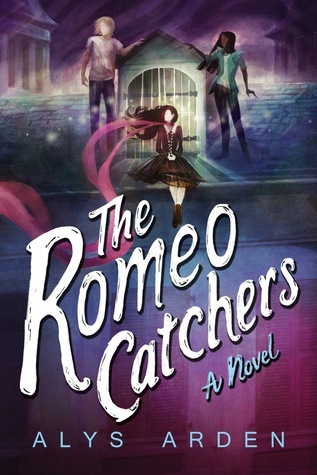 As the city murder rate soars, Adele finds herself tangled in a web of magic that weaves back to her own ancestors. Caught in a hurricane of myths and monsters, who can she trust when everyone has a secret and keeping them can mean life or death? Unless... you’re immortal. 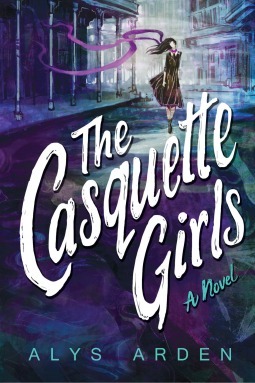 At the same time that I found out The Casquette Girls now existed as a physical book, I also found out that a sequel was released earlier this year. Since I absolutely adored the first book I knew I was going to need to acquire the sequel as well. So it too made its way into my cart during the 10x rewards point sale. I am super duper excited for this book you guys. Tormented by the fate she condemned her mother to, and by the lies she’s forced to tell to cover it up, Adele scours Storm-ravaged New Orleans for the truth about her family’s magical past. But every turn leads her back to the one person she's determined to forget: Niccolò Medici. Not even the multitude of enchanted locks on the attic door trapping Nicco within can break their connection. While I was looking over my Amazon wish list to see what books I wanted to get in the Chapters sale I came across Glitch on sale for $3.64 cents. I've needed Glitch to complete my series set since I read it back in 2013. 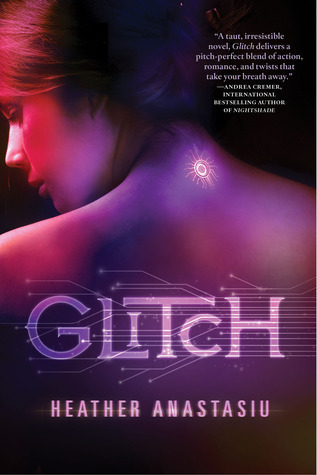 See, I originally borrowed it from the local public library - really enjoyed it - went out and bought the next two books in the series - didn't read them - and then never went on to get a copy of Glitch so that I could read through the entire series in one go. I have now rectified that situation, even if I did have to pay for shipping, even with the shipping it was still only about $10 which I think is a perfectly fine deal. You can tell I discovered this one during my YA dystopian phase. 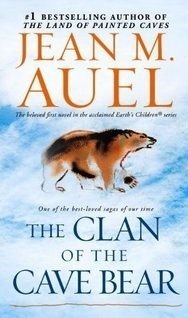 This is the first book in the series, but I forgot that. So a few months back I actually bought the second book A Court of Mist and Fury during a different $4.95 sale. I want these books because I have heard nothing but good things about them. Everyone I know who has read them has really enjoyed them. I decided to do them as audiobooks because her other series is currently on my physical TBR shelf, or at least 2-3 parts of it are, I'm compiling that set piecemeal as I find it on sale in places. I might need another trip to bookoutlet.ca to see if I can't finish it off. This is one of those books that in reader's advisory class in library school they sort of recommend that you read. Apparently, it's very popular at public libraries. I've heard mixed things about it, but to me, it's always seemed sort of fascinating. One of the most consistent bits of it I have heard though is that it can be very hard to actually get through as in it's a very slow read. So that's why I decided since I could get it for under $5 and my PL doesn't have an audiobook copy that I would try it as an audiobook and see if I can get into it. It's not something I would have paid a full credit for but I'm happy to get it as part of a 3-for-1 deal. I had never heard of this one until I saw it in the sale. Needless to say the title DEFINITELY grabbed my attention, it sounds hilarious. And I do always enjoy a vampire novel, I have been a vampire fan since I was about 8 or so, I'd have to check with my childhood friend Stacey to see whether or not I'm wrong about that age haha. I know we were into witches for sure at that point, maybe vamps were a few years later, can't be sure. Anyway, that's beside the point. I went and peeked at the description and some of the reviews on Goodreads and those sold me enough that I decided that for under $5 this was something I wanted to try for myself. I've picked a couple of my $4.95 sale audiobooks like that now so we'll see! Apparently, there are wereponies which I am just super excited to learn more about. THIS WEEK’S RANDOM QUESTION: Do you plan a reading list while on vacation? Not so much an actual reading list per se. Before I go on holiday I consider what books I have on my devices and whether or not I'll be in the mood for them, be they audiobooks or ebooks. I learned a lesson though when I went to visit Angie in May, and that lesson was that none of the Audible, Kobo and Kindle apps actually wanted to work properly for me on the plane. Now that was possibly my fault I might not have done something right before boarding but I don't know, so I was stuck for my whole flight over with absolutely nothing to read because I didn't bring any physical books with me (mainly because I *ALWAYS* buy at least 3 while I am visiting her and this time was no exception I came home with like 6...). The plus side to that was that I actually ended up getting a lot of sleep which was a good thing because I was well rested for my first day with Angie :D. Now I know to pack a backup paperback though to cover for tech issues. So once I check to see if there's anything I want, I buy something if there's not. It really also depends a lot on where I'm travelling to, I do the vast majority of my travelling to visit Angie in England and I always stay with her. I love staying with her, her flat is 100% my second home in this world. There are many perks to staying with her, and one of them is that I get to raid her library. So sometimes even when I have said to myself that there were books on my devices I wanted to read while I was there, I end up raiding her shelves instead. This past, for example, I ended up reading 5 of her books because about 2 days in I decided I wanted to try and read as much of the 19 young Obi-Wan Kenobi books as I could. Turns out my limit was 5, I finished #5 as we were pulling into the parking lot at the airport on my way home in fact. I probably could have done about 2 more but I only took 3 with me when we went to London and after finishing those I switch to an ebook on my phone instead. Do you plan your reading in advance or do you just read whatever catches your fancy on a trip? Do you try and read books about or set in your destination before you arrive? Haha the other Jedi Apprentice books are here waiting for you to come, screaming READ ME!! !